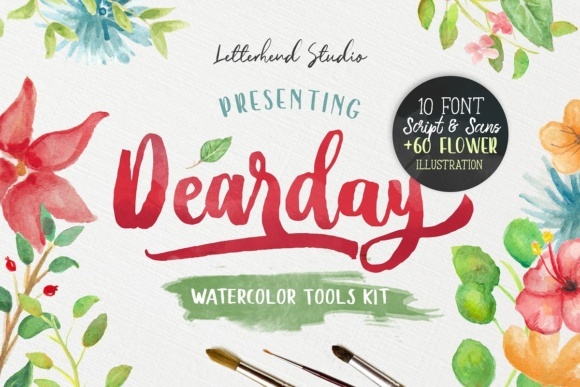 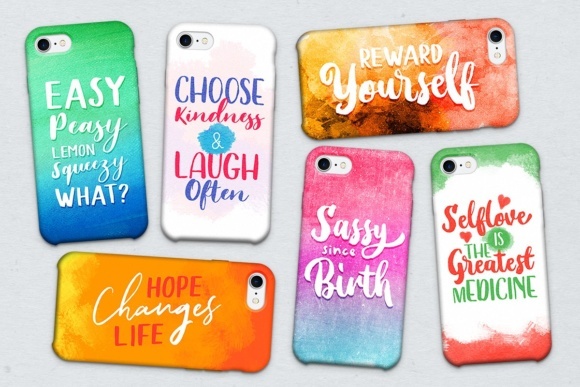 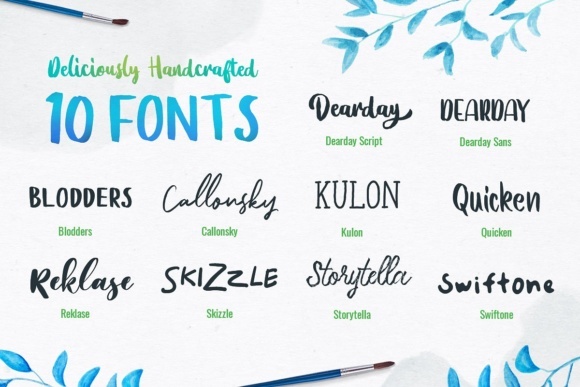 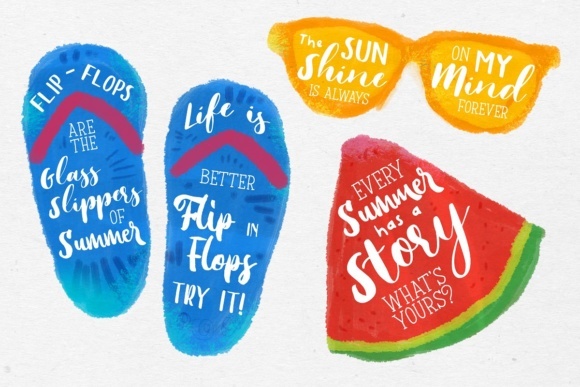 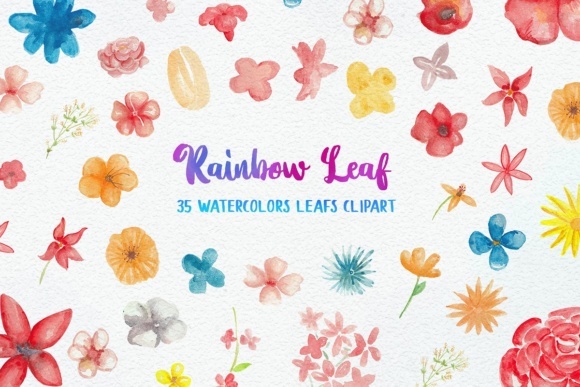 This product contains 10 unique fonts and 65 hand-drawn watercolor illustrations in png! 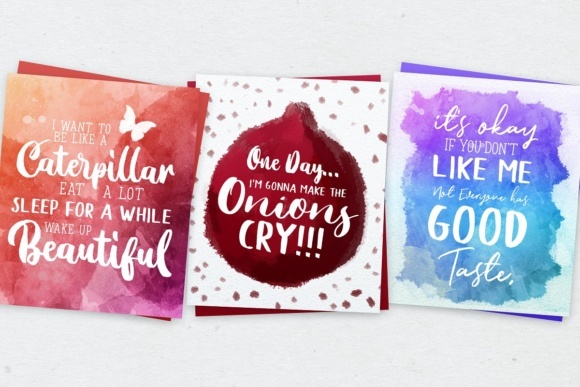 Yeah you hear it right! 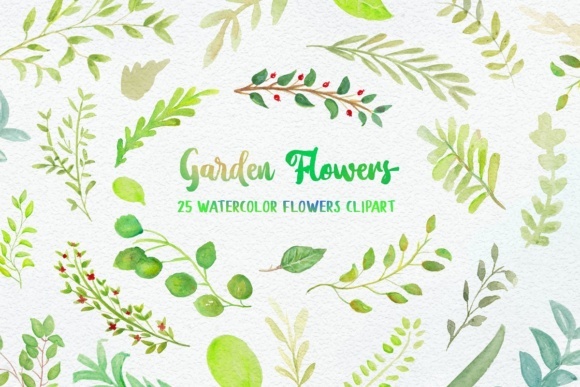 This product will provide anything you need to create a lovely watercolor art design. 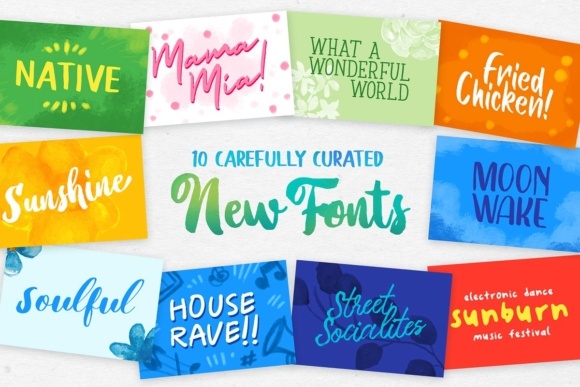 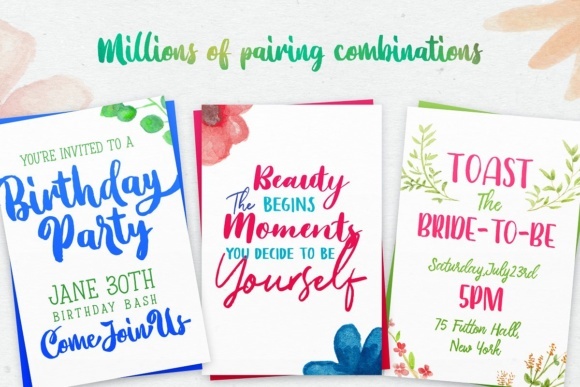 Just mix and match the fonts and you’ll can get a beautiful lettering that you can use in any media you want!